Litter Ends Here is a Greenville County initiative in response to a community demand to deal with litter issues that were damaging our environment, image and quality of life. 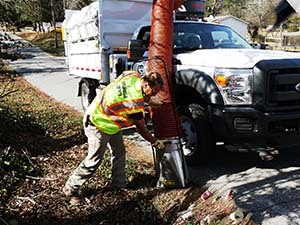 Since the creation of the program in March of 2017, Litter Ends Here crews have removed over 400,000 pounds of litter from the roadways in Greenville County with our fleet of vacuum litter trucks. 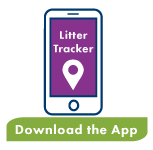 Our goal is to educate the community on the negative impacts of litter, while empowering them to work together to put an end to littering once and for all. The purpose of this program is to raise awareness through community outreach efforts, classroom education, enforcement, media and county events. Litter is not just an environmental problem it is a social problem that directly impacts our local economy. We hope that we will encourage the community to take responsibility and have as many Greenville County roads adopted as possible. If we accomplish these goals there is no reason why we can't set the standard in being the first litter free county in the country! Greenville County, Litter Ends Here!